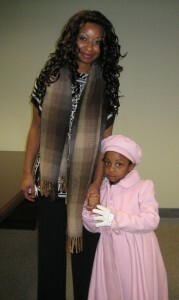 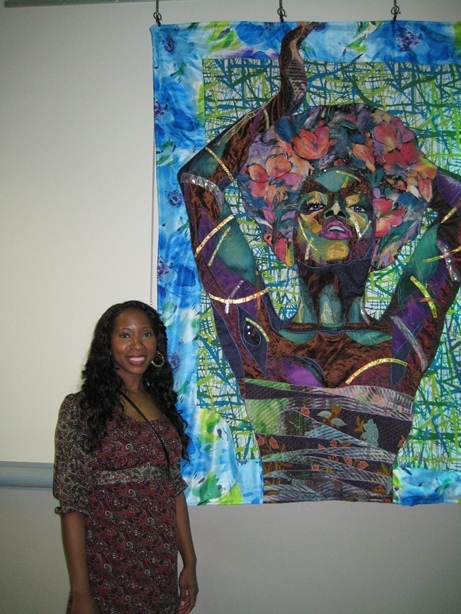 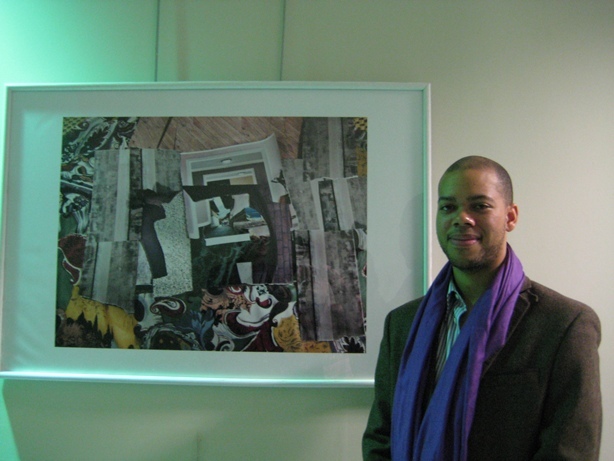 On Friday, January 25, 2013, nearly 150 members of the public attended the free Opening Reception for the 21st Art in the Atrium African-American Art Exhibit entitled “Generation Next” at the Atrium Gallery, located on Floors 2-5 of the Morris County Administration and Records Building, 10 Court Street in Morristown. The featured artist, Janet Taylor Pickett, whose works are on display on the 5th floor, gave a talk as part of the evening’s festivities. 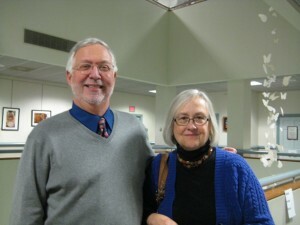 Many of the artists whose 183 works are on display were available to meet the public and discuss their art. 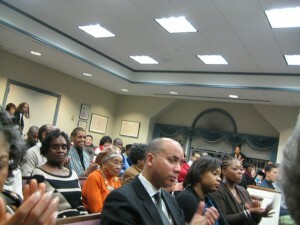 Distinguished guests attending the festivities included U.S. 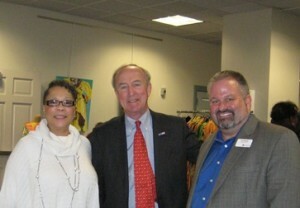 Congressman Rodney Frelinghuysen along with members of the arts community including Tom Werder, Executive Director of Morris Arts. 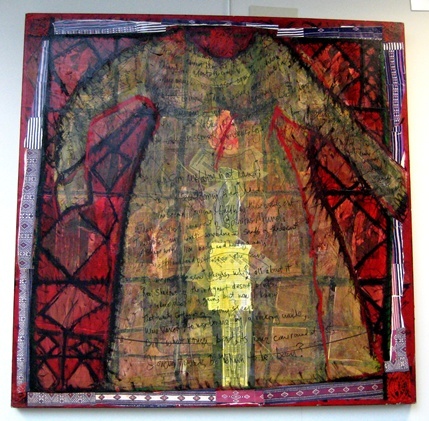 Left: Featured artist Janet Taylor Pickett’s Patterns of Memory (fabric, acrylic & collage on canvas). 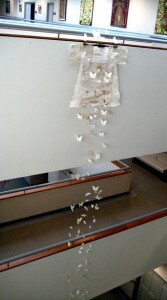 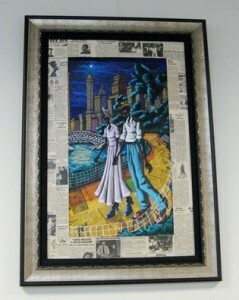 Embracing a wide variety of subject matter and media (oil, acrylic, collage, photography, fabric, multimedia, etc. 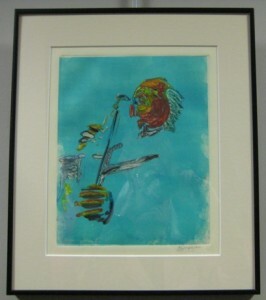 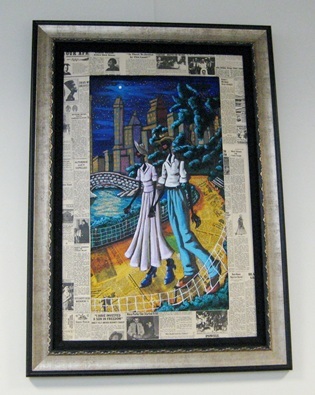 ), the artworks highlight the creative energies of over 30 artists drawn from throughout the United States, including Alonzo Adams, Peter Ambush, Indira Bailey, Terry Boddie, Bisa Butler,Lynn Cabbell, Leroy Campbell, Ray Clark, Jacqueline Collier, Viki Craig, Jerry Gant, Keidra Hoskins, Marian Howard, Cassandra Jennings Hall, Glenda Jones, Oliver Lake, Thomas Malloy, Ray Mobley, Rosalind Nzinga Nichol, Wannetta Philllips, Cephas Stubbs, Sandra Smith, Janet Taylor Pickett, Gwen Verner, and Bisa Washington, among others. 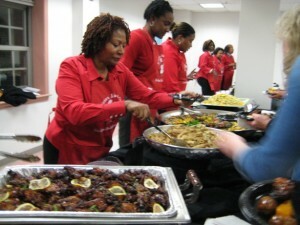 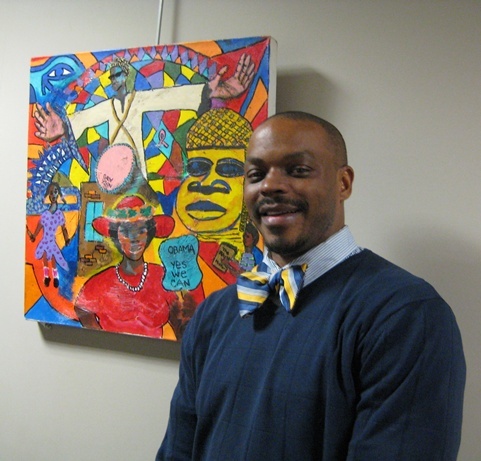 Art in the Atrium, Inc. (ATA) is a nonprofit, volunteer arts organization that has proudly exhibited African-American fine art in many venues throughout northern New Jersey since its founding in 1992 by Charles and Victoria Craig. 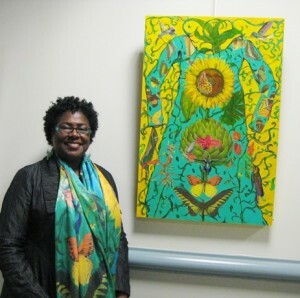 L-R: Janet Taylor Pickett’s acrylic on canvas, Spring Rain; Janet Taylor Pickett’s acrylic on wood panel, White Tulips;Leroy Campbell’s Night Stroll; Rosalind Nzinga Nichol’s fabric work, The Day it Rained Butterflies; Ray Mobley’s Untitled. 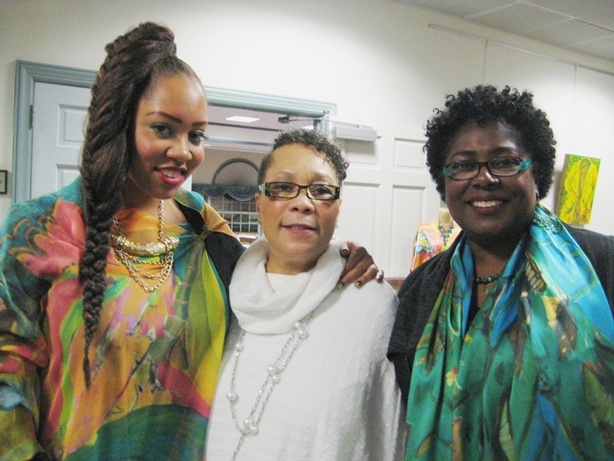 L-R: Indira Bailey with her painting, Marketplace; Janet Taylor Pickett with Roots of Intention and Desire; B. Curtis Grayson with Rhythm of the Drum; Bisa Butler with her quilt, Afrodite; artist Keidra Hoskins with her daughter Olivia; Cephas Stubbs with Pilgrimage 2011. L-R: Delicious buffet service; Lauren Craig, Viki Craig and Janet Taylor Pickett; Former Executive Director of the Morris Museum, Steve Miller with his wife. L-R: Viki Craig with Congressman Frelinghuysen and Morris Arts Executive Director Tom Werder; The Carcich Family; Crowd attending the Pickett talk. 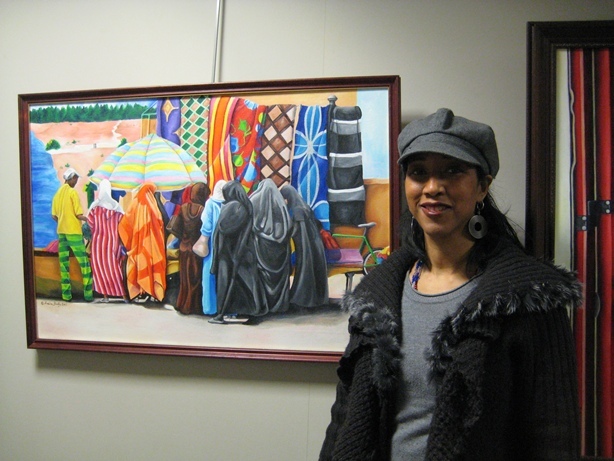 Morris Arts manages the Atrium Art Gallery, selecting artists and scheduling exhibits on behalf of the Morris County Board of Chosen Freeholders. 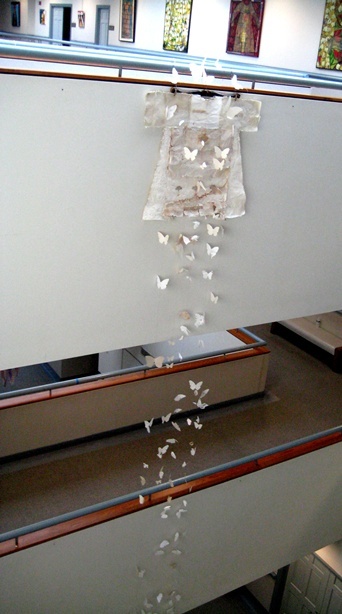 The Atrium Gallery is free and open to the public during business hours, from 8am – 5pm on Mondays-Fridays. 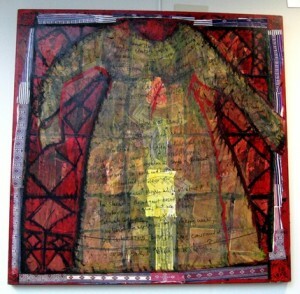 The exhibit will run from January 25-March 8, 2013. 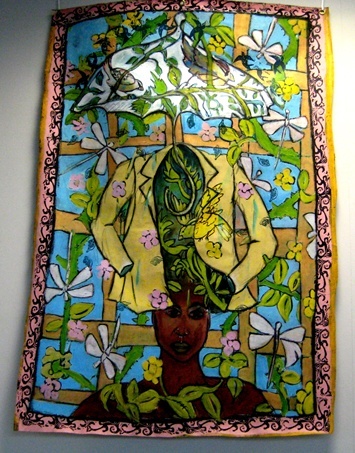 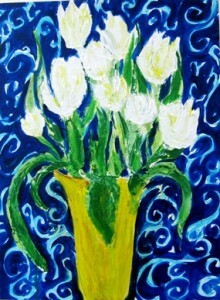 For additional information about the show, visit www.artintheatrium.org or contact Dr. Lynn L. Siebert, Gallery Director, and Director of Arts Participation & Communication for Morris Arts, (973) 285-5115, ext. 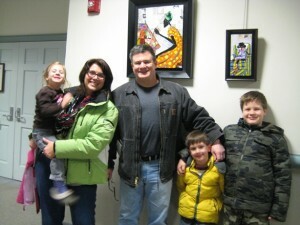 10 or Lsiebert@morrisarts.org.